Backup host "On Second Thought"
Adam is host of Current's podcast, "The Pub." He's a Journalist in Residence and Visiting Assistant Professor of Journalism at the Center for Collaborative Journalism at Mercer University in Macon, Ga. He’s also reported for public radio shows including "Morning Edition," "All Things Considered," "Here & Now," "Marketplace" and "The Takeaway." 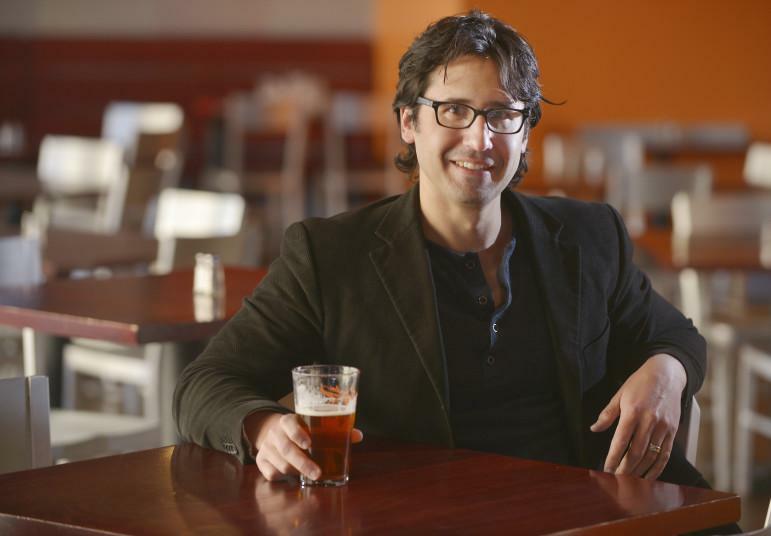 Before becoming a journalist, Adam studied music composition, and he creates all the music for "The Pub." Stuart Eizenstat has worn many hats: U.S. ambassador to the European Union, Deputy Secretary of the Treasury, international lawyer. He was also President Jimmy Carter's chief domestic policy adviser, a position which served as the basis for his new book, "President Carter: The White House Years." 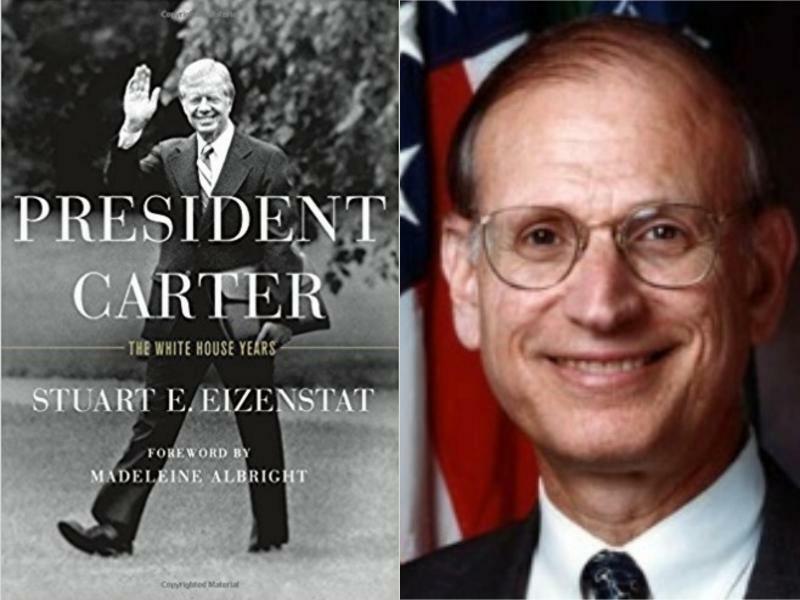 In the history, Eizenstat details what he says is the underappreciated legacy of the Carter administration. Among the accomplishments of President Carter that Eizenstat describes are the peace negotiations Carter facilitated between Egypt and Israel. Carter also passed the country's first comprehensive energy policy and deregulated some of America's biggest industries, including communications. 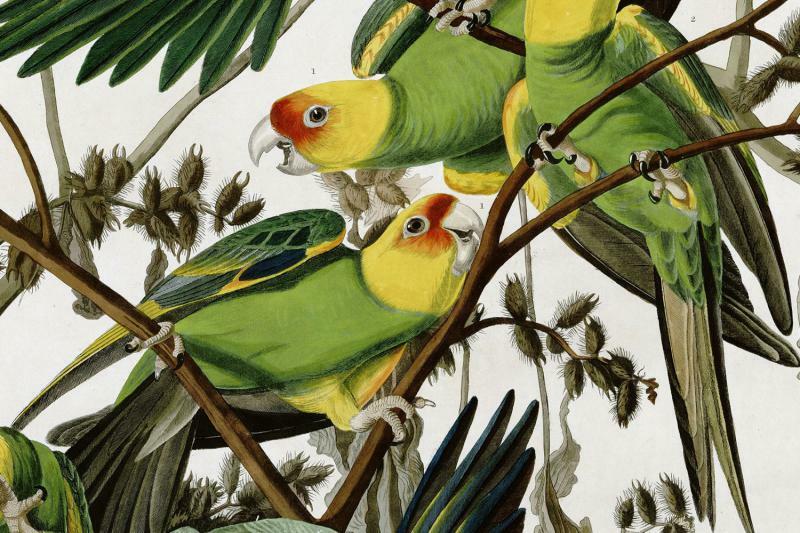 The Carolina Parakeet was a wild bird in lots of senses of the word; it flew throughout the Southeast and Midwest, including along the Georgia coast. Revolutionary War soldiers and Manifest Destiny explorers journaled about their bright green plumage and “disagreeable screams.” And they were thought to be poisonous, because they ate cocklebur seeds that were harmless to them but toxic to cats hoping for a feathered meal. The birds went extinct at the beginning of the 20th century. Now, researchers are using their migration patterns and physiology as a means to explore how we can save at-risk species today. It’s been seven months since Hurricane Maria devastated Puerto Rico. Blackouts continue. Utility crews on the island are still in emergency restoration mode. As recovery continues on the island, Georgia Tech’s Economic Development Lab (EDL) has opened free office space in Atlanta’s Tech Square to entrepreneurs and researchers from Puerto Rico. It's an expansion of a program Georgia Tech has had in place since 2012. This week we talked about racist robots, climate change and autism awareness. So, as we do every Friday, we sat down with our Breakroom guests to process the week's biggest news stories. We were joined in the studio by Georgia State University professors Héctor Fernández, Soumaya Khalifa, executive director of the Islamic Speakers Bureau of Atlanta, Fayette County commissioner Steve Brown and Korea Daily reporter HB Cho. April is Autism Awareness Month. The Centers for Disease Control and Prevention estimates 1 in 68 U.S. children is on the autism spectrum. Ten years ago, Tempa and Michael Kohler opened Special Kneads and Treats, a bakery in Lawrenceville. Like many bakeries, they make delicious cakes and other sweets treats. 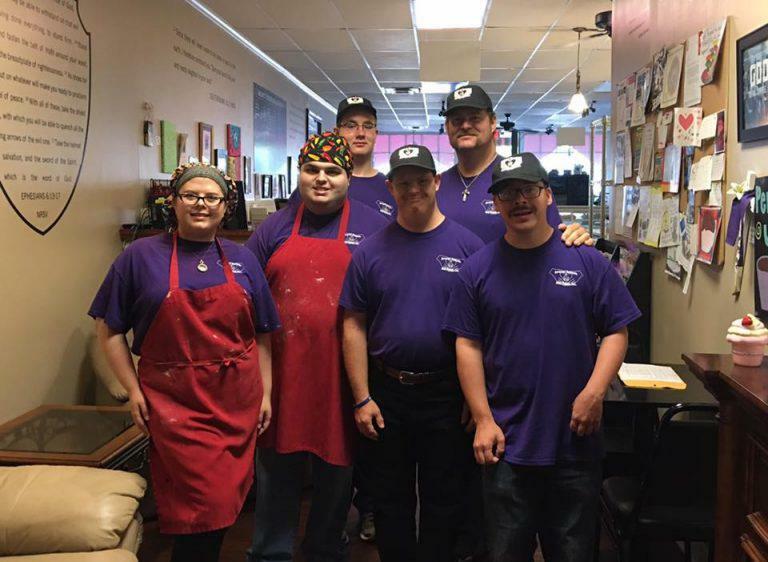 But what's special about the Kohlers' bakery is the employees: adults with disabilities. It’s been seven months since Hurricane Maria devastated Puerto Rico. Blackouts continue. Utility crews on the island are still in emergency restoration mode. As recovery continues on the island, Georgia Tech’s Economic Development Lab (EDL) has opened free office space in Atlanta’s Tech Square to entrepreneurs and researchers from Puerto Rico. It's an expansion of a program Georgia Tech has had in place since 2012. Jamily Ali Pons, a biomedical student from Puerto Rico's Inter-American University, is one researcher continuing her work in the EDL. For Mark Sanchez, being a peach grower means "you pretty much stay worried all year. That's because for peaches to bloom in the spring, peach trees have to stay cold in the winter. At Lane Southern Orchards in Fort Valley, Georgia, that means getting 650-850 "chill hours" — or hours under 45 degrees Fahrenheit — between November and February. But last year, conditions didn't even come within range. By Sanchez's estimate, Fort Valley only got about 550 cold hours. Whereas a typical peach season goes through mid-August, Lane wrapped up operations in early July. So after this year's cold winter, Sanchez, Lane's CEO, is more optimistic. 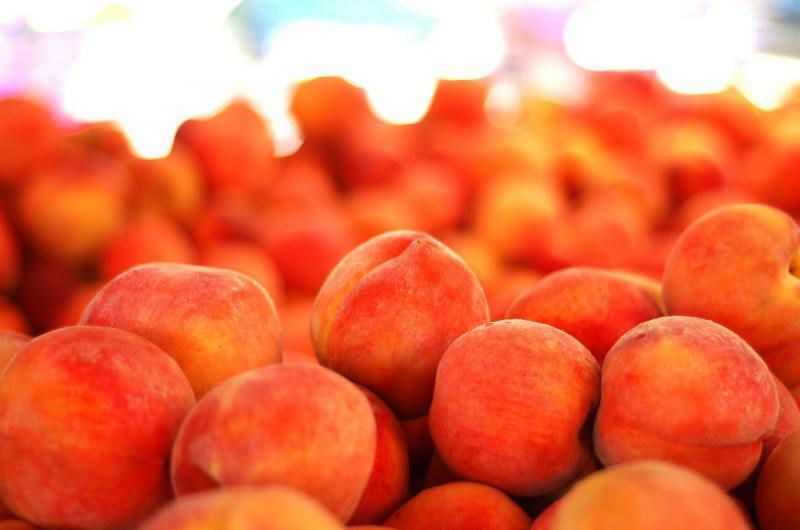 We talked to him about what we can expect from this year's peach season and what makes Georgia the peach state even though other states have surpassed our production levels. 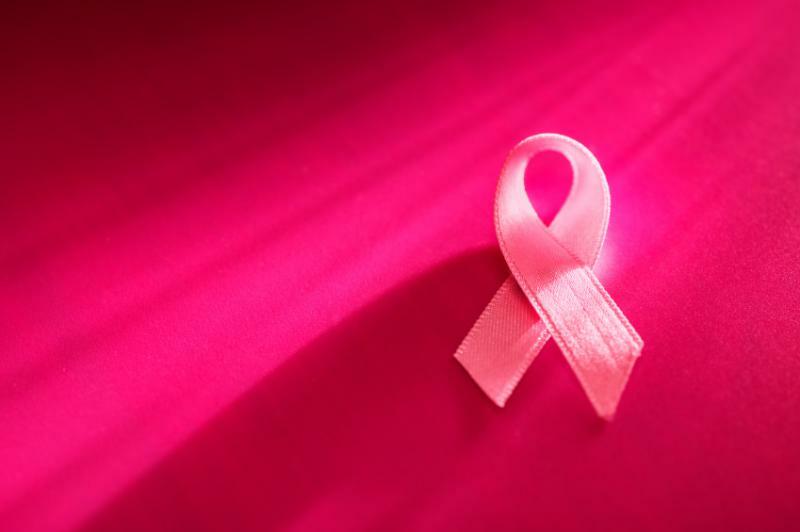 A new study from the Breast Cancer Research Foundation finds disparities in breast cancer outcomes among African-American women compared to white women. This follows a 2016 Cancer Epidemiology study that found that of any U.S. city, Atlanta had the widest gap in breast cancer mortality rates between African-American women and white women. That’s with 44 black patients per 100,000 residents dying, compared to 20 per 100,000 white women. Every year, the George Foster Peabody Awards honor “stories that matter.” Founded and archived at the University of Georgia, the awards are often called the Pulitzer Prize of broadcast. Between several categories — individual/institutional, documentary, entertainment, news, radio/podcast and public service — 60 finalists are chosen. From those 60, the Peabody Awards board of jurors selects 30 winners. The board's decisions must be unanimous. This year's winners include HBO's "Insecure," Netflix's "Hasan Minhaj: Homecoming King," Vice News's coverage of the violent neo-Nazi rally in Charlottesville, Virginia, and the "S-Town podcast" from This American Life and Serial. Why Hasn't Spring Sprung In Georgia? Ready to put your winter clothes away? Not so fast. 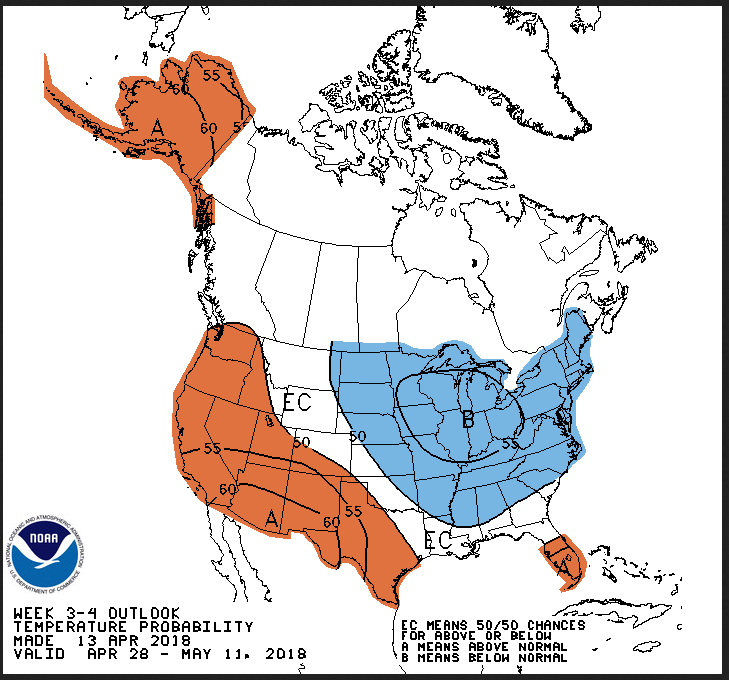 Although temperatures across the state are predicted to reach into the 70s this weekend, cooler than average spring weather is projected to stick around Georgia until at least the beginning of May. 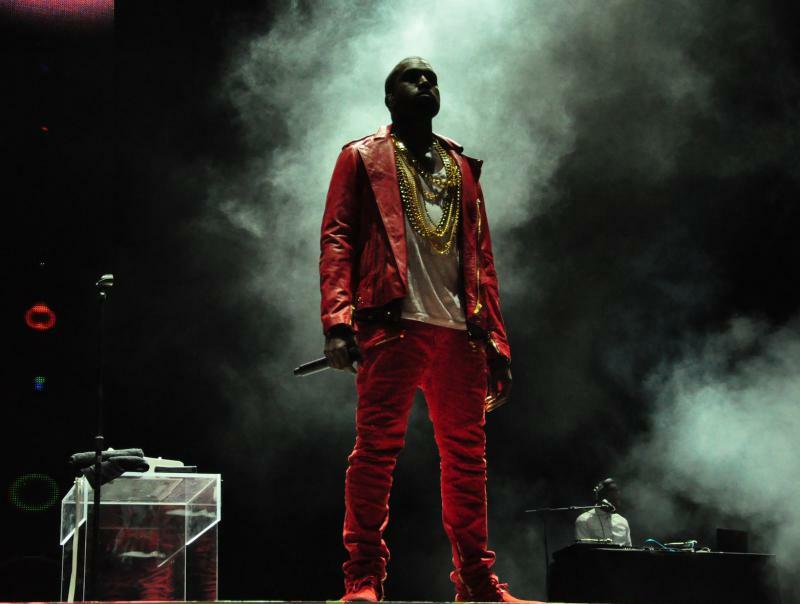 In Atlanta, lows have approached century-old records for this time of year. In middle and south Georgia, the National Weather Service projects a 40 percent chance of below normal temperatures. For Mark Sanchez, being a peach grower means "you pretty much stay worried all year." That's because for peaches to bloom in the spring, peach trees have to stay cold in the winter. At Lane Southern Orchards in Fort Valley, Georgia, that means getting 650-850 "chill hours" — or hours under 45 degrees Fahrenheit — between November and February. But last year, conditions didn't even come within range. By Sanchez's estimate, Fort Valley only got about 550 cold hours. Whereas a typical peach season goes through mid-August, Lane wrapped up operations in early July. So after this year's cold winter, Sanchez, Lane's CEO, is more optimistic. What does it mean to have an awakening? For Christopher Paul Curtis, it meant finding his calling in his 40s. After working for more than a decade in Detroit's automobile manufacturing industry, Curtis began writing children's books about the African American experience. His 1996 novel "The Watsons Go to Birmingham" earned him a John Newbery Medal, making him the first African American man to win this honor. He won again in 2000 for "Bud, Not Buddy" and in 2008 for "Elijah of Buxton." We spoke with Curtis in 2017. This year's Pulitzer Prize winners and finalists were announced Tuesday. We listened back to interviews with four past and present honorees. Renee Montagne was named a 2018 finalist for her investigation examining racial disparity in maternal deaths. James Forman Jr. won the 2018 Pulitzer Prize for general nonfiction for his book "Locking Up Our Own: Crime and Punishment in Black America." We also revisited conversations with Alfred Uhry, who won the Pulitzer for drama in 1988, as well as Bill Dedman, who in 1989 won the prize for investigative reporting. What makes Vidalia onions so special that they get their own festival — and declaration as Georgia's official state vegetable? We asked Delbert Bland of Bland Farms in Glennville, Georgia. He's been in the Vidalia business for decades and gave us a taste of the history and science behind this sweet onion. Georgia has been at war with Alabama and Florida over tri-state water use for decades. More recently, Tennessee entered the mix. 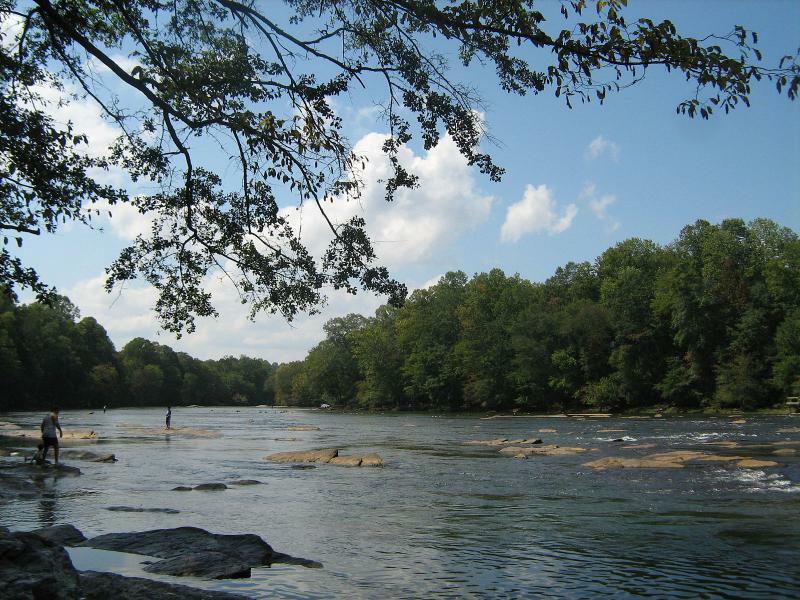 The legal dispute began in 1990, when Alabama and Florida sued Georgia and the Army Corps of Engineers (COE) over a COE recommendation that a dam on the Chattahoochee River be used to supply Atlanta with water, rather than the states of Florida and Alabama. 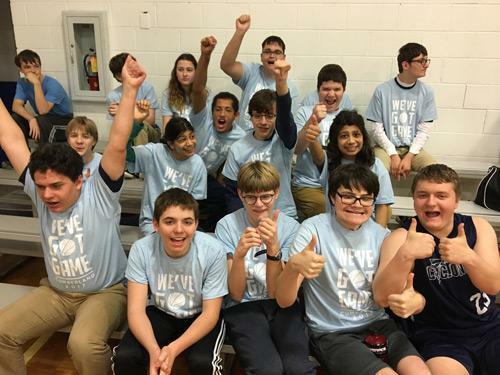 The Centers for Disease Control and Prevention estimate that one in 68 children in the United States is on the autism spectrum. What Makes Vidalia Onions Sweet? 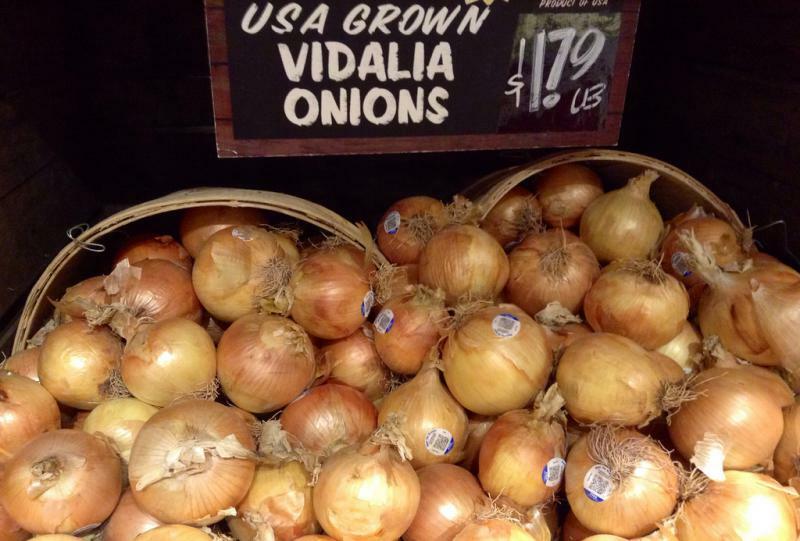 Get your peelers ready: Vidalia onions arrive in grocery stores Friday. A sweet onion you "can eat like an apple," the Vidalia onion grows only in south Georgia. It's been the official state vegetable since 1990. There's even a Vidalia Onion Festival, kicking off its 41st celebration next week with a carnival, multiple cook-offs, recipe contests and a Miss Vidalia Onion Pageant. In 1981, actor Bruce Campbell first took on "The Evil Dead." The cult hit spawned two sequels, video games, Marvel comic books and a television series. "Ash vs. Evil Dead" airs its season finale later this month. We talked with Campbell last year as he prepared to attend Walker Stalk Con in Atlanta. He shared his thoughts on low budget, his cult star status and getting the chance to reinterpret the title character. 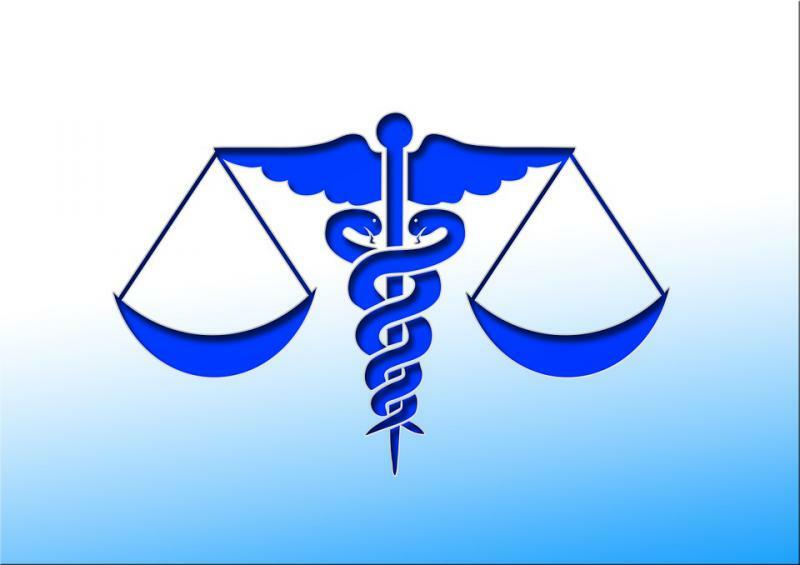 Last week, the U.S. Department of Justice (DOJ) announced it would halt its Legal Orientation Program, which provides legal advice and information to detained immigrants. The DOJ has also suspended a telephone helpline. The Southern Poverty Law Center (SPLC) says this isn't the only obstacle immigrants face when it comes to legal assistance. In a new lawsuit, the SPLC claims federal immigration officials make it difficult for detainees to communicate with their attorneys. 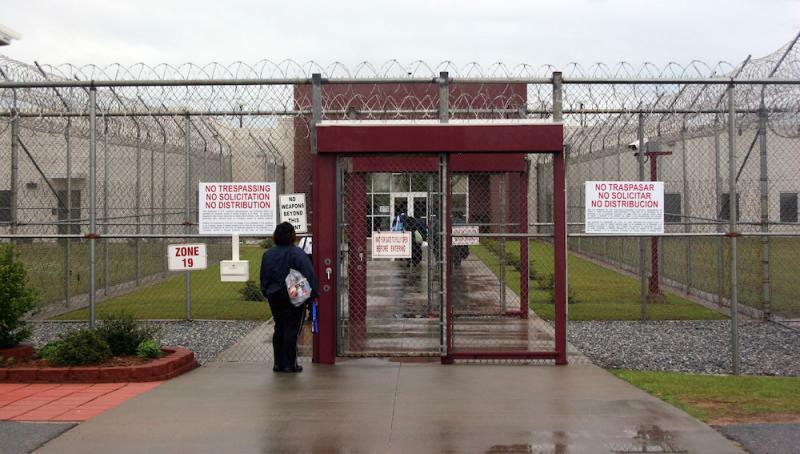 In the lawsuit, the Southern Poverty Law Center calls out two Georgia detention centers as part of the problem. SPLC legal director Lisa Graybill and immigration lawyer Hiba Ghalib talked with us about immigrants' access to legal assistance. 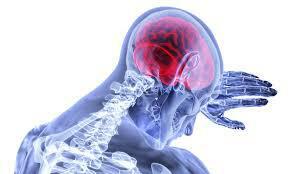 Why Do Southerners Face Greater Stroke Risk? The South has a lot of nicknames. "The Bible Belt." "Dixieland." And when it comes to health, we're known as the Stroke Belt. Studies say stroke risk in this 11-state region, which includes Georgia, is 34 percent higher for the general population than elsewhere in the United States. As the weather warms up, you may spot more outdoor cats in your neighborhood. For pet owners, raising a cat to be indoor versus outdoor is a very sensitive subject. We talk about the ethics of cat ownership with Barbara King, College of William & Mary professor emerita of anthropology. In the year since President Trump took office, a new wave of social movements has rippled across the country. 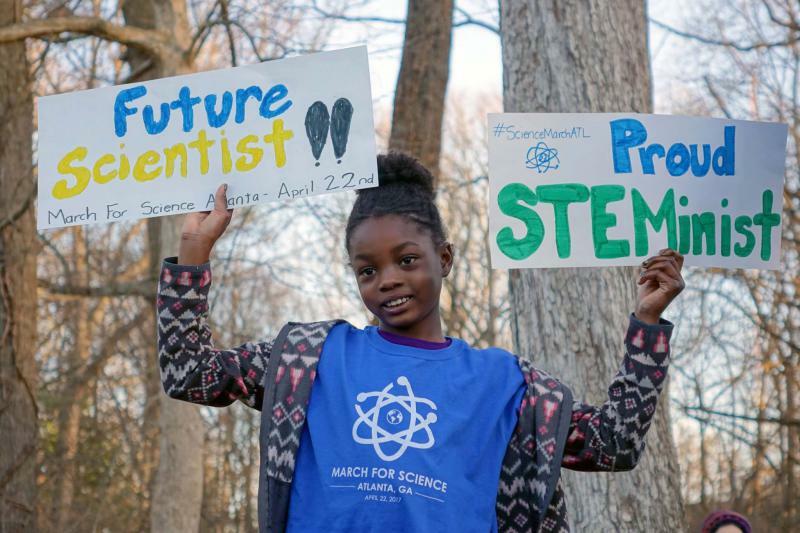 March for Science Atlanta brings together scientists, data geeks and average citizens to push for policies that support and reflect research. The group will hold its annual Rally for Science April 14. The Rally for Science keynote speaker is Emory University professor Linda DeGutis. She previously served as director of the National Center for Injury Prevention and Control at the CDC. 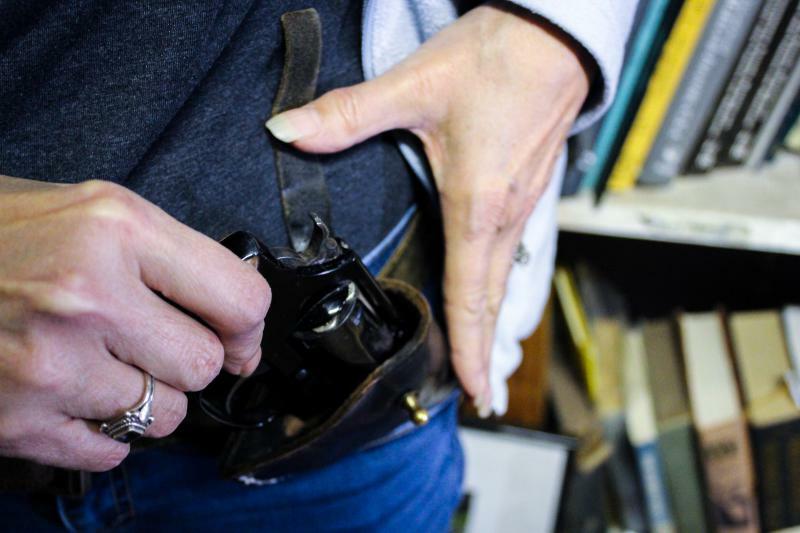 DeGutis will speak on the importance of gun violence research. We spoke with DeGutis and March for Science organizers Louis Kiphen and Allison Halterman. Atlanta-based hospital chain Piedmont Healthcare and health insurance company Blue Cross Blue Shield of Georgia are at loggerheads. The two failed to reach a contract agreement by their April 1 deadline. Georgia Gov. Nathan Deal has called both sides back to the negotiating table, but the two organizations still haven't found a way out of the dispute that's left about 500,000 Georgia patients in limbo. College students gathered at Emory University last weekend for RespectCon, a conference that centers on student conversations and the ways they help sexual assault victims find justice. In the year since President Trump took office, a new wave of social movements has rippled across the country. March for Science Atlanta brings together scientists, data geeks and average citizens to push for policies that support and reflect research. The group will hold its annual Rally for Science April 14. Why do young people do stupid things? From the “condom snorting challenge” to the “tide pod challenge,” we looked at some of the dangerous trends popular among teenagers. A group of neo-Nazis is planning a rally later this month in Newnan, Georgia. Some people in Newnan worry this rally could get violent, and there's a Change.org petition to urge the city not to allow the rally. Is it possible to reform extremists? GPB Special Correspondent Celeste Headlee spoke with two people who left their life of hate behind them. The ransomware attack that crippled Atlanta a few weeks ago isn't the only high-profile cyberattack Georgia has faced in recent years. Two years ago, a security researcher gained unauthorized access to a server used by Kennesaw State University's Center for Election Systems, which stores the data of millions of Georgia voters. At the time, the data breach wasn't illegal under Georgia law — but a new bill awaiting Gov. Nathan Deal's signature could change that. Senate Bill 315 defines unauthorized computer access as a crime under Georgia law, which would make data breaches easier to prosecute. Some people in the tech industry, however, worry SB 315 could actually hinder their ability to do their jobs.